The 30th anniversary of Back To The Future is in full swing and real hoverboards are here...well, in miniature scale. After a successful preorder campaign on BackToTheFuture.com, NeoLev Technologies has now launched a new opportunity on Kickstarter! The new campaign is officially licensed and features many options to get the right amount of Back To The Future at your home or office. 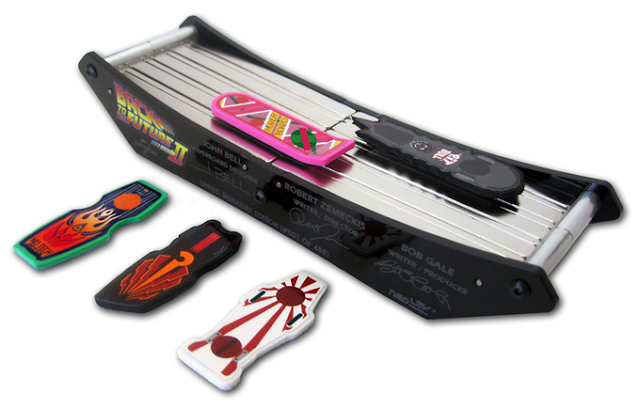 Choose from several different size tracks with Marty's hoverboard or go all out and snag all 5 hoverboards from the Back To The Future Part II movie! The Kickstarter campaign is just a day old so take advantage of the early bird special and save a few bucks. The goal is $10,000 by Aug 13 2015 with delivery time on or before the film's travel date of October 21, 2015. Even though actual size hoverboards haven't been made a reality, these look like a great substitution for BTTF fans on the 30th anniversary! 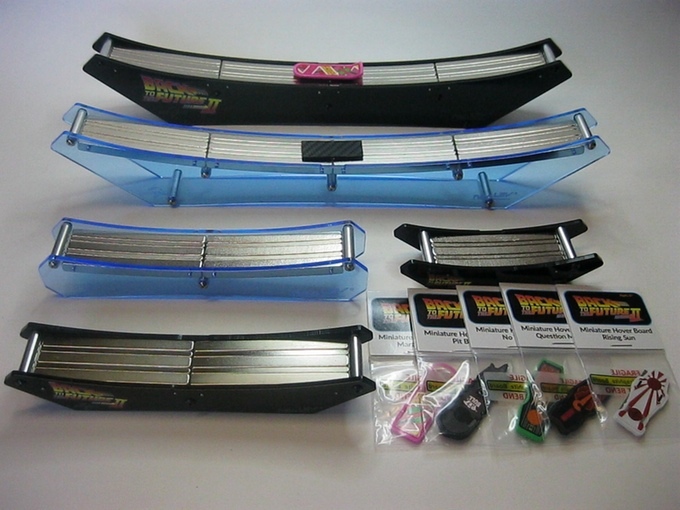 Visit the Back to the Future Part II Miniature Desktop Hover Boards campaign on Kickstarter now to order yours today!